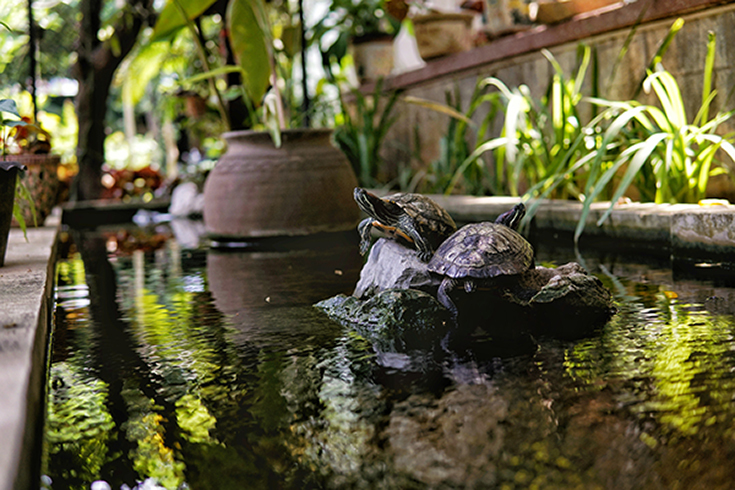 LANI'S HOUSE by the ponds - ..::LANI'S HOUSE by the ponds::..
Lani, one of Vientiane's classic high-end guest houses has been lovingly revived and is now Lani's House by the Ponds. 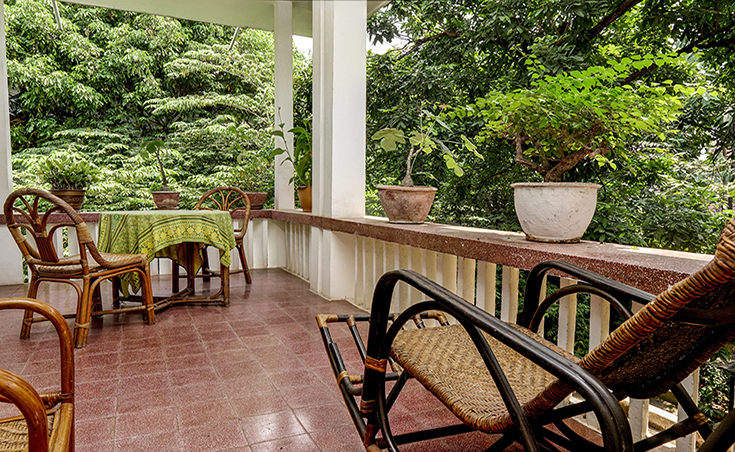 The breezy colonial house, set in a peaceful tropical garden in the city centre, is a few minutes walk from the Mekong Riverbank. 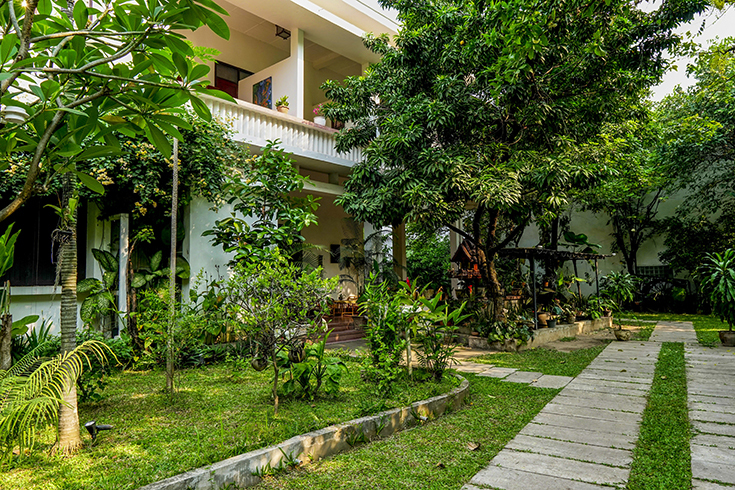 Located just off Setthathirat road, lined with temples and old trees, this gem of a hotel is close to many of Vientiane's finest cafés, restaurants and shops. 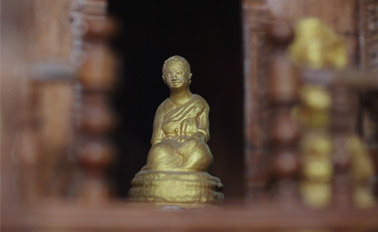 The 10 boutique rooms and the house display contemporary Lao artwork including wood sculpture and evocative photographs: this work is for sale should you wish to collect some unique mementoes of Laos. 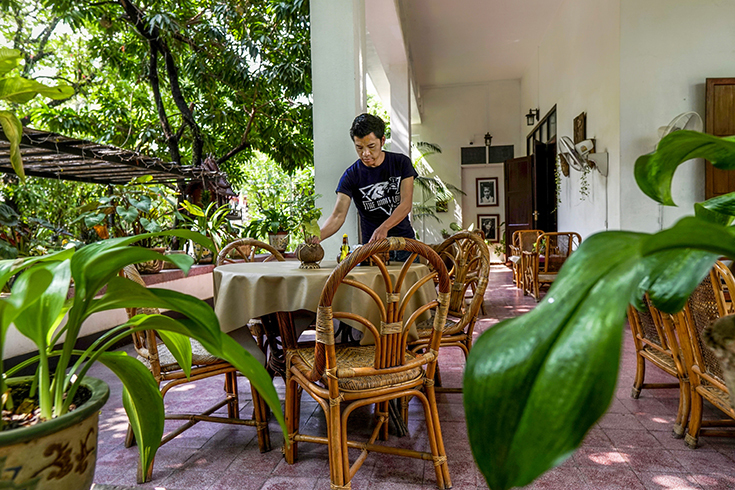 Evocative of old Vientiane, with unobtrusive but efficient service, Lani's House by the Ponds offers a pleasant stay in the business centre and heart of the city and is just a 15-minute drive from the airport. 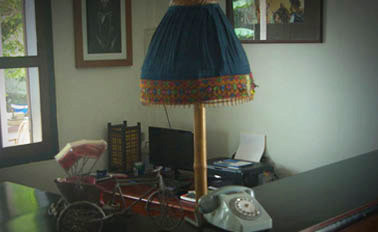 Lani's House by the Ponds provides a small and friendly hotel with a relaxed atmosphere and efficient service. Each room is unique in design and decoration, offering an elegant but simple backdrop for your stay. 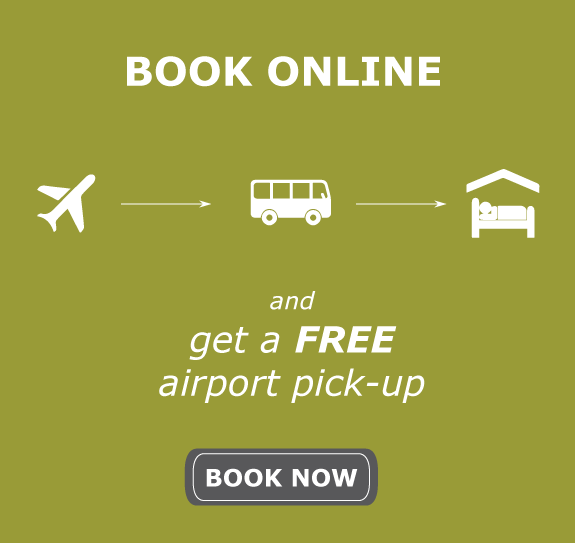 With free Wi-Fi and a helpful front desk, we cater for business travel, leisure, sightseeing and family stays – just ask for more information on how to get the best stay in Vientiane.